„Every man who undertakes to exercise authority should ask himself two questions: Do I love my people in order to serve them the best? 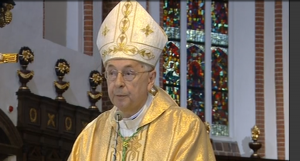 Am I humble enough to listen to the opinions of others and choose the best way?” – asked in the homily Archbishop Stanislaw Gadecki in occasion of the 550th anniversary of Polish parliamentarism. The National Assembly met on Friday, July 13, at the Royal Castle in Warsaw. The celebrations started with the Holy Mass in the Warsaw Archcathedral presided by the Metropolitan of Warsaw Cardinal Kazimierz Nycz. The homily was delivered by Archbishop Stanislaw Gadecki, President of the Polish Bishops’ Conference. The ceremony was part of the celebrations of the 100th anniversary of regaining Poland’s independence and the 550th anniversary of Polish parliamentarism. „Every man who undertakes to exercise authority should ask himself two questions: do I love my people in order to serve them the best? 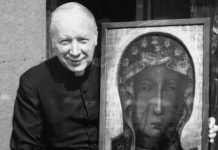 Am I humble enough to listen to the opinions of others and choose the best way?” – asked in the homily Archbishop Gadecki. The President of the Polish Episcopate stressed that this anniversary is “a day of remarkable joy” and pointed out that the parliamentary system of the First Republic of Poland was a phenomenon on a European scale. During the ceremony, President of Poland Andrzej Duda delivered the message. “I deeply believe that we Poles, a great and wise civil nation, will be able to draw inspiration from the patrimony of 550 years of Sejm. I believe that together we will write other great cards in our native history” – said President of Poland Andrzej Duda in his message. 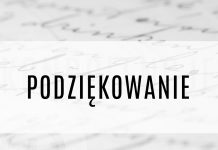 “We can be proud of our tradition and parliamentary culture, as one of the oldest in Europe and in the past most fully developed” – emphasized Marshal of the Sejm Marek Kuchciński in a communique published on the Sejm website. As he pointed out, “Poland is one of the countries in the world where parliamentarism had developed relatively early and it has become a feature of the political system”.